From a Mojito to a Rabbi's Ruin, Kaifeng has a stunning range of alcoholic and non-alcoholic drinks and smoothies designed to make your evening fabulous. 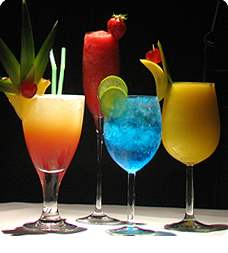 Click here for our cocktail list. We love parties and our customers love to celebrate at Kaifeng. Click here to see our reviews page for their comments. Click here for more about Simchas. The finest ingredients freshly prepared for each order. Collect or we can deliver to all parts of London, Hertfordshire, Middlesex, or anywhere. Click here for our Take Away menu and delivery details. 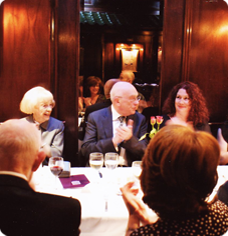 "The phone has not stopped ringing with everyone calling to say how much they enjoyed the food and the ambiance. 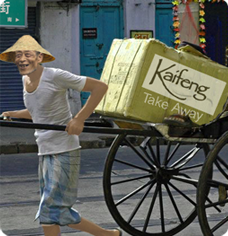 Give a Kaifeng Gift voucher for a present with taste!